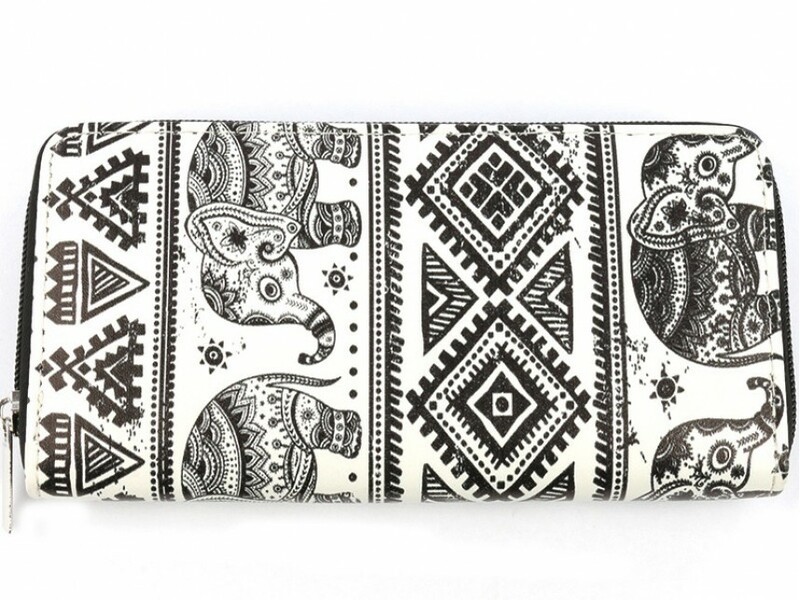 Black White Elephant Boho Flat Wallet. Pockets and zipper closure. 7.5 x 4 inches.